Tattoos are a form of body art which can also be considered fashion. Self-expression is taken seriously. It gives us ways so that we can uniquely identify ourselves and others. Tattoos can hold sentimental value to some, whereas for others, it is just another creative way to express who they are. Ways of expressing ourselves can be through the form of dance, writing, singing, acting, and body art. Body art can sometimes be considered taboo, because to some people it is not of the norm to “decorate “our bodies in such manner. In some societies, they have deemed body art to be a rebellious act and symbolized anti-socialism, versus other societies, where it is for cultural purposes, and body art is embraced and considered unique and is form of self-expression. Tattoos can be representations of many things. They can be used in remembrance of soldiers who have fallen. Many prisoners who were a part of gangs had certain “symbols” that identified them. Today, any and every group of people one can think of, have some sort of self-expression of body art on them. Moms and dads are even getting tattoos. Naturally tattoos send off a negative influence to society in those who do not believe in and accept “body art”. 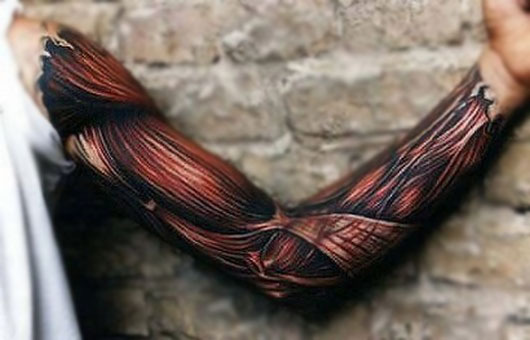 Some tattoos are too awesome to even be considered covered up. Embrace your body art, and don’t let anyone bring you down from it. Embrace its beauty and be happy with your body. I agree that tattoos are a form of art and that you should never let another persons opinion affect a decision that you have personally made. I do think that tattoos should be an expression with meaning. a lot of times people tend to get tattoos based on someone else approval. I have noticed that a lot of teenagers engage in body tattoos to increase popularity. I admire those that use their body art as a form of artistic expression, yet I see too many people choosing to get tattoos to either fit in or rebel from society. When I was under age it was considered cool to have tattoos. So of course I wanted one badly, fortunately I never got around to it. As I got older I realized that I would have changed my mind and regretted getting a tattoo. In my opinion unless the tattoo has a very important significance it is another cry for attention. With that said our society has progressed dramatically and tattoos are not considered taboo in many circles so to each their own I say. As a person with tattoos, I believe that you shouldn’t judge someone for what they decide to put on their body. My first tattoo symbolizes the strength and courage I felt I experienced going through some rough situations. My second and third are purely for enjoyment. I liked the pictures and wanted them on my body. Yes, I do think that some tattoos are ugly and that the placement is inappropriate, but I am not one to say anything about what you put on your body. I do plan to get more tattoos and when I do they could symbolize something or have no meaning at all. Tattoos can be artistic and a representation of ones expression. But many times its looks distasteful and tacky. I’ve seen those that have well placed tatts, as called on the streets, and it looks really beautiful. Others have ovedone it an have tatts all over and it just looks plain horrid. So, less is more and more is just, over the top. 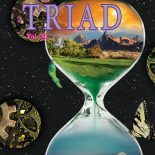 This entry was posted on November 27, 2012 by hcctriadme in Non-Fiction.